A4 polypropylene display book. 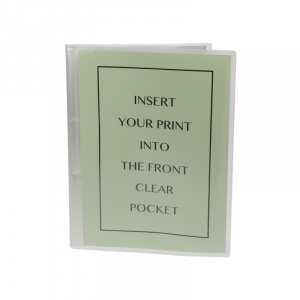 Clear pocket to front cover to hold a title page. Internal spine fitted with 10 top opening pockets to take and A4 sheet. 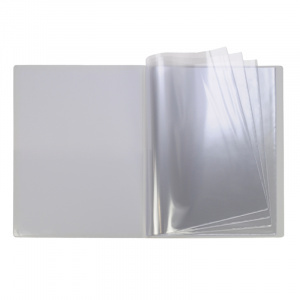 140003012 / A4 White PVC Display Book. Fitted with 12 Pockets. 140003018 / A4 White PVC Display Book. Fitted with 18 Pockets. 14000306 / A4 White PVC Display Book. Fitted with 6 Pockets.